The Hokulani Golf Villas is the premier South Maui neighborhood, it holds the reputation as Kihei’s only gated golf course community. Besides the exquisite construction and top of the line finishes, the community is located in Maui’s newest resort district, Kailea. 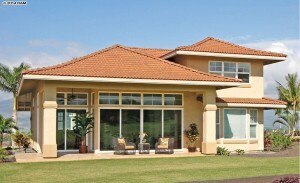 The golf villas are a golfer’s paradise as it is entirely encircled by the Maui Nui Golf Club. Already established since 2009, the Hokulani Golf Villas have been slow to develop their reputation. However, as of late the neighborhood has started to assert its authority as Kihei’s most desirable gated community. Developing is the new standard of South Maui luxury, high end and well appointed residential styled condominiums. Near the community is an up and coming part of Kihei yet to be a fully established as a “local” spot on the south shore. The Maui Brewing Co. occupies some retail space just up the road in the Maui Tech Park. With every passing day, it is approaching the grand opening (which should by any day now) of their brand spanking new location in the Maui Tech Park. By popular demand and a backlog of orders, owner Garret Marrero, “Knew we were going to be growing,” and decided to expand production to meet the company’s growth. The Maui Nui Golf Club, formerly the Maui Elliair, has recently acquired new ownership led by Peter Savio of Honolulu. The new management plans to beef up business and gain new club members as they look to bolster their return on investment. At the moment, we are working on a special membership deal specifically for Hokulani owners, but we do not have anything final in place. Adding to the multitudes of the benefits at Hokulani is the developers clever choice to zone the project as a “residential condo”—this is luxury condominium living with residential privacy. Each villa boasts spacious and tidy lots with a majority of the homes fronting the greens and fairways. The community offers some great amenities which include a gorgeous infinity pool, clubhouse, lounge equipment for sun-bathing, a clutch area for grilling, a well sized patio to escape the heat, and a whirlpool spa for soothing soaks or late night swims under the stars. Residents can choose homes that are either a single or 2-story model, with 6 various floor plans, coming in 2-3 bedrooms plus a den. Because we value providing our clients with a range of design options, upon request we can include a loft into the two story models. The interior living areas are quite roomy, as they range from about 1,800 to 2,500 square feet. All homes are completed with a 2 car garage and concrete driveway. For those who love custom details, homes can be tailored to fit each individual buyer’s specific needs. 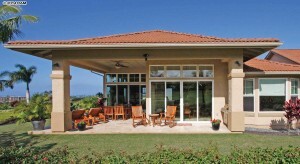 Hokulani Golf Villas Model 100 is the smallest unit available. It is a popular single level home with two bedrooms, a den, two bathrooms, a gourmet kitchen with an elegant center island. The great room and dining areas showcase the 12 foot ceilings and incredible window designs that open to the rear covered lanai. The home is currently listed for $936,000. 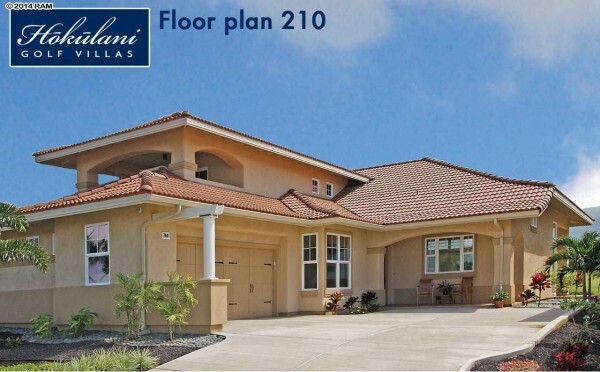 Hokulani Golf Villas Model 210 is a three bedroom home, den and two and half bathroom home with the master suite located on the mail level and is listed for $1,063,000. 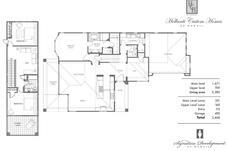 The two additional bedrooms, a loft and lanai complete the upper level to take the home to 2,380 sq. feet. 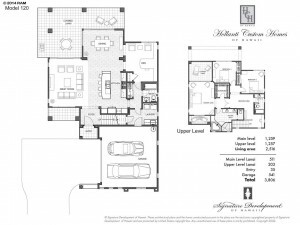 The great room and dining area feature 12 foot ceilings along with a stunning gourmet kitchen with a center island. 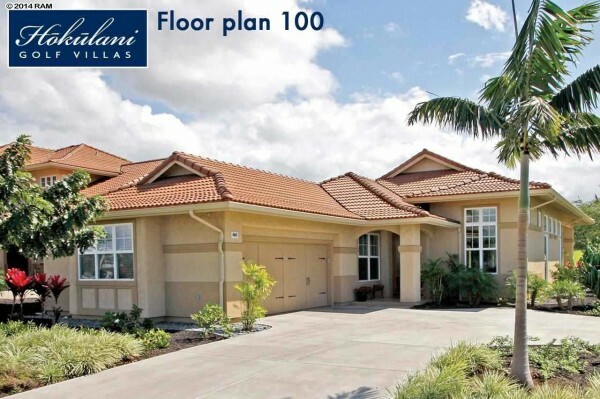 The covered main floor lanai is conveniently located for outdoor living and entertaining. Lot 51 is currently under construction as it will be a model for our future sales office and is listed for $1,120,000. From the walkthrough I did, I can personally attest to the exceptional views from the lot, I do not expect this unit to be on the market much longer. 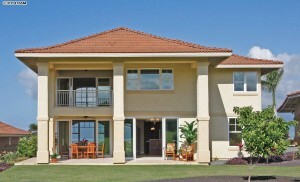 Hokulani Golf Villas Model 120 is a two-story, three bedroom home, den and three bathrooms. 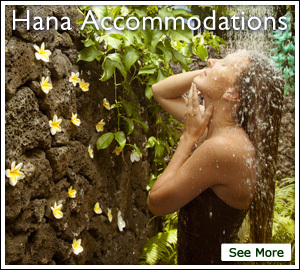 The second floor offers an elegant master suite with two upper lanais. 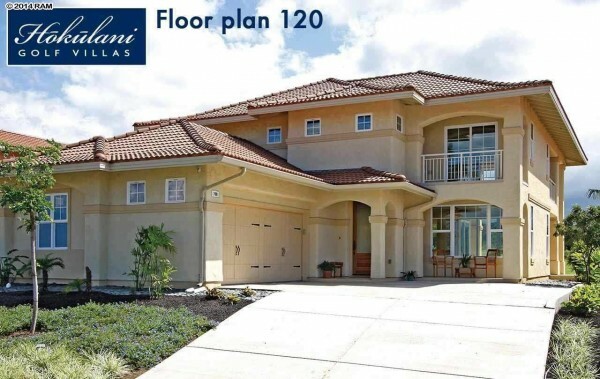 The main floor features elegant great room and dining area with easy access to covered lanai. The main floor offers a den that can be optioned as a fourth bedroom. The gourmet kitchen features a 10 food center island for entertaining and dining. 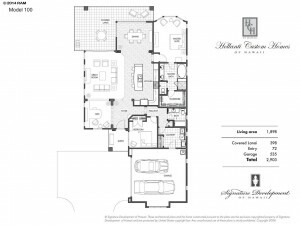 With single level floor plans flying off the shelves, there are less than six available single level plans left. 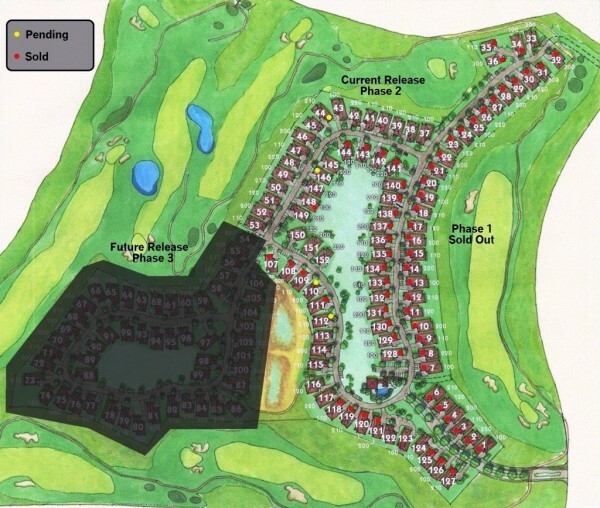 If you prefer the single level homes do not worry, phase III is set for construction in 2015. There are plenty of lots still up for grabs, don’t miss out! If you ever happen to be on the south side of Maui, feel free to stop by one of our two sales offices. We are located at the Hokulani Golf Villas just off Honopiilani Highway on Lipoa Parkway; we are located within the community. We are on-site from 9:00 a.m.-5:00 p.m. daily. We will always have a sales agent on hand to answer any and all of your questions.